A kayaker navigates a section of the Los Angeles River. Photo courtesy of The Soraya. 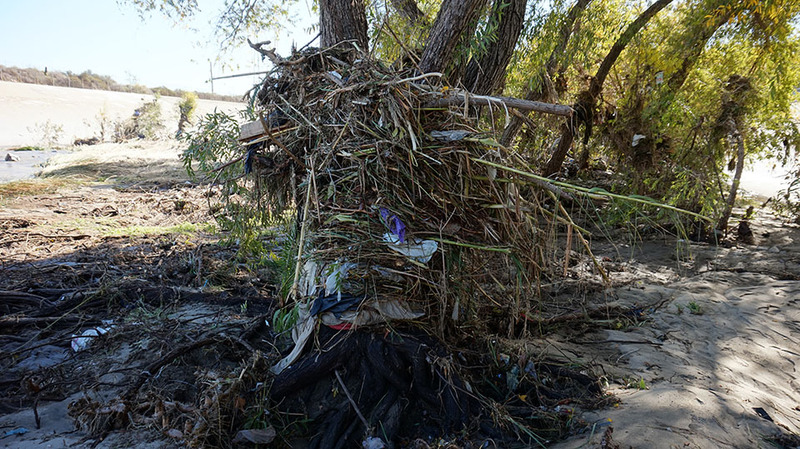 Trash, debris and Arundo donax reeds collect on the bank of the LA River after a major rainstorm. Photo courtesy of The Soraya. 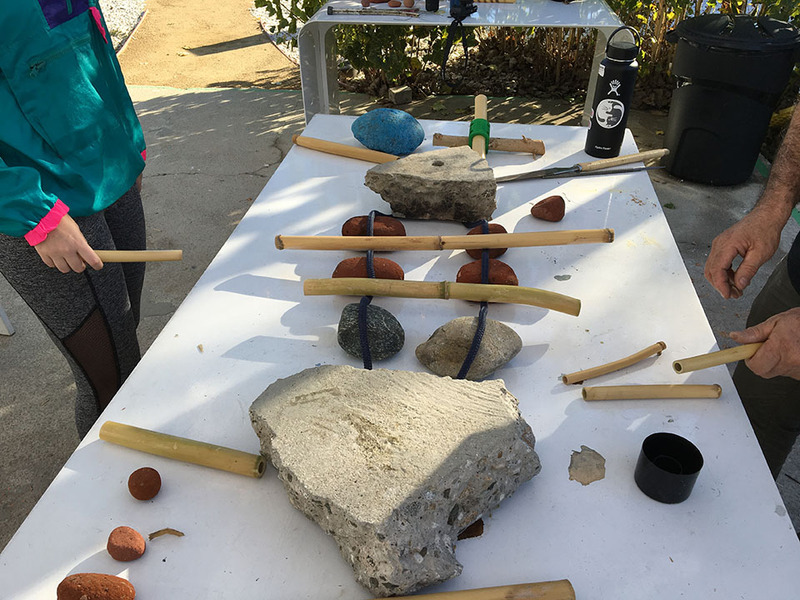 Arundo donax is a highly invasive cane plant species that is detrimental to the LA River's native ecosystem — but one that can be dried and made into musical instruments and 3-D sculptures. Graduate students in the CSUN Department of Art are brainstorming potential artworks and instruments made out of these materials. Photo courtesy of The Soraya. Eco-artist Lynn Neuman worked with CSUN professor Paula Thomson to choreograph a fall performance about the LA River for dance students in CSUN’s Department of Kinesiology, which they will present as an encore at the "Future Currents: LA River" festival. Photo courtesy of The Soraya. Community members attend the free Global Currents Festival at The Soraya (then VPAC). Photo by Luis Luque. 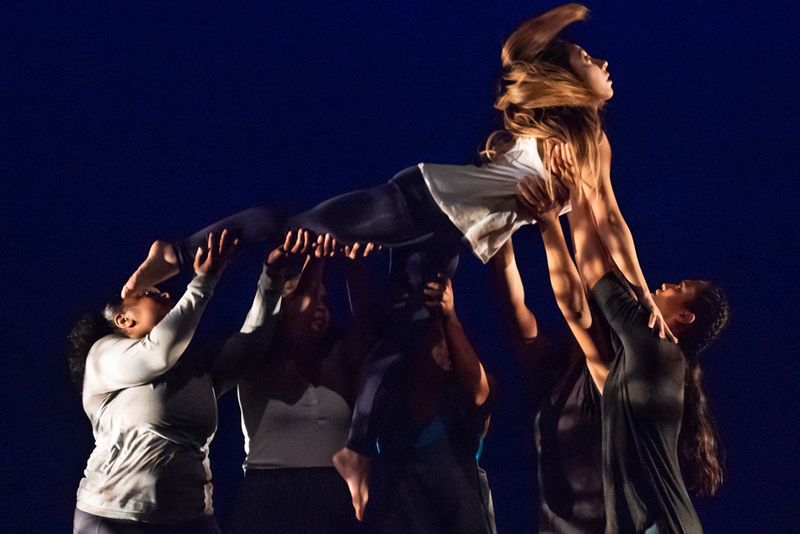 CSUN students perform "Currents," a dance created as part of the LA River project. Photo by Lee Choo. 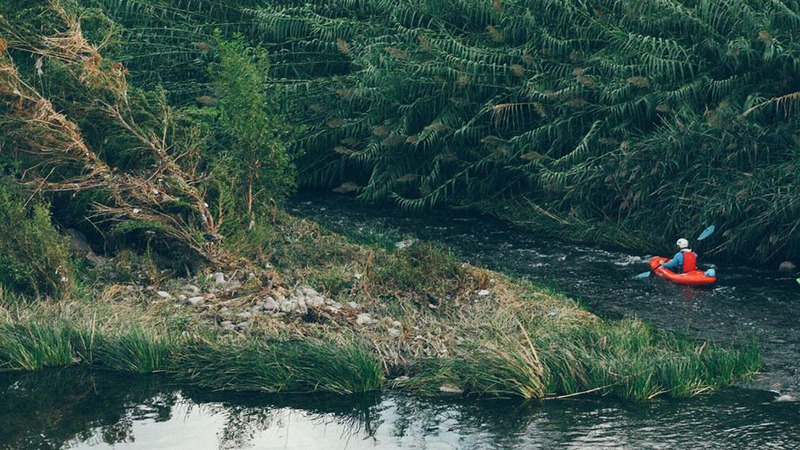 In summer 2018, the Younes and Soraya Nazarian Center for the Performing Arts (The Soraya) kicked off “Future Currents: LA River,” a large-scale collaboration between students in California State University, Northridge’s Mike Curb College of Arts, Media, and Communication and local and national artists to foster awareness of some of the challenges faced by the Los Angeles River. Viewed by many Angeleños as a concrete flood-control canal, the river is more dynamic than what meets the eye, project organizers said. The river has a vital ecosystem, a prominent role in the city’s history and geography, and, according to city leaders, a bright future. However, most LA residents remain, at best, skeptical. CSUN faculty, staff and students involved in this new project aim to change that. The organizers hope to foster engagement and awareness about the river. On Friday, April 5, The Soraya will host a multidisciplinary festival and performance on the common theme of the river, featuring student dance performances and showcasing some of the artwork created as part of the river project. The CSUN group is working with one of the nation’s leading eco-artists, Lynn Neuman. Neuman is the artistic and executive director of Artichoke Dance Company, an eco-arts action organization based in New York. She is collaborating with LA artist and community activist Steve Appleton, a leader in LA River revitalization who runs LA River Kayak Safari out of the Frogtown neighborhood and who hosts many river-awareness events and projects. “The river theme started a few years ago when we first did our Global Currents Festival at The Soraya (then VPAC), which is all related to issues about water — in that case it was the Nile River,” said Cameron O’Hanlon of the Soraya. The artistic and programming staff at the Soraya were inspired to look closer to home, O’Hanlon said. They met with Appleton to learn more about the LA River. In August, Neuman and Appleton led CSUN student dancers, artists and filmmakers to river sites along Frogtown — a small community cut off by the massive 5 Freeway, and now inhabited largely by warehouses and light industry and nestled along the curving, soft-bottom section of the LA River just south of Atwater Village and west of Glassell Park. The group harvested Arundo donax reeds, inspiring student creativity to tell the story of the river and document their experiences there. Arundo donax is a highly invasive cane plant species that is detrimental to the native ecosystem — but one that can be dried and made into musical instruments and 3-D sculptures. Appleton has started meeting with graduate students in the CSUN Department of Art to brainstorm potential artworks and instruments. The project will continue into this year, as students work on their Arundo instruments and sculptures, preparing for the April 5 festival. 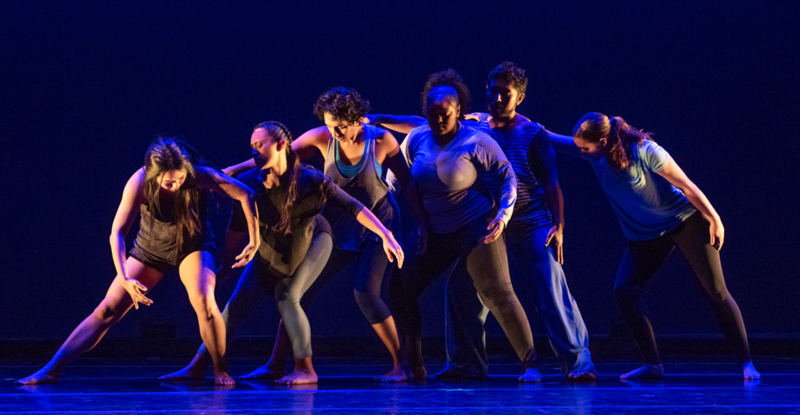 Neuman worked with CSUN professor Paula Thomson to choreograph a fall performance for dance students in CSUN’s Department of Kinesiology, which they will present as an encore at the festival. CSUN student filmmakers also hope to produce documentary films about the experience, telling the ongoing story of the LA River. 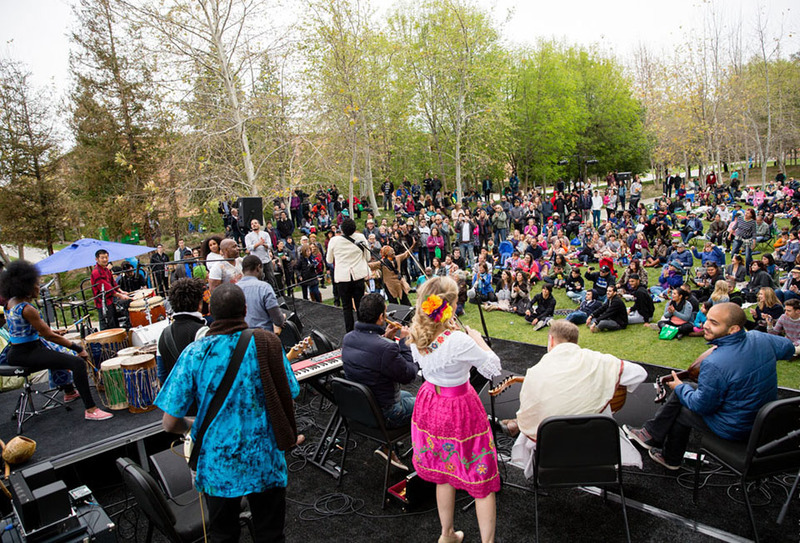 The “Future Currents: LA River” Festival will begin at 11 a.m. on Friday, April 5, at The Soraya, located on the CSUN campus at 18111 Nordhoff St. in Northridge. For more information, please visit thesoraya.org or call (818) 677-8850.